When her advisor at Jobcentre Plus talked to her about creating her own job through self-employment and recommended Outset Torbay’s fully funded start-up support, Claudenicia jumped at the chance to find out more. 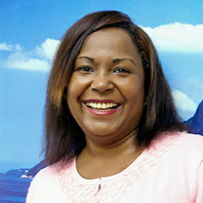 With bucket loads of enthusiasm and lots of inside knowledge about her native Brazil, Claudenicia joined the Outset Torbay Introduction to Enterprise programme to fully research her idea for starting her own independent worldwide travel company, specialising in the South American region. Claudenicia continued to complete the Business Start Up programme of workshops where she looked at critical aspects of business including Marketing, Sales, Financial Planning and Promotion. On completing the Outset programme, and armed with her business plan, Claudenicia was put in touch South West Investment Group (SWIG) and secured a start-up loan to help her set up PS Brazil Travel in Torquay. PS Brazil Travel is a Member of the Travel Trust Association. They can arrange International flights, transfers and car hire, tours, cruises, package holidays, European city breaks, Eurostar travel and luxury holidays. With Brazil set to host the forthcoming World Cup and Olympics, as well as its annual Carnivals, Claudenicia is looking forward to showing people the best of what the region has to offer, establishing PS Brazil Travel as the local, trusted experts.